If you are searching for a place to stay near the academy place, you can check with the address : Kleine-Marktstraße--Halle-Saale--Germany. 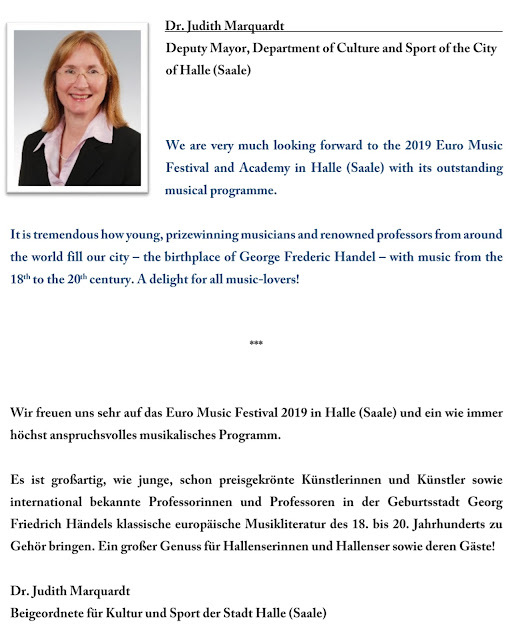 If you are interested in staying at a hotel in Halle, please send an inquiry email to Euro Arts at emfacademy@gmail.com when you submit the application form with CV and an artistic photo. You will receive the detailed information including the prices.